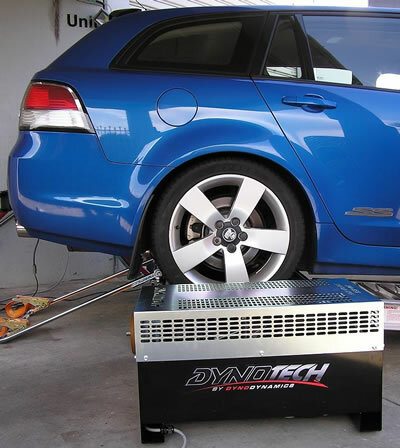 Dyno's can be used to find out the true power of your car - at the wheels. We can do a dyno run before we work on your car and then perform another one afterwards so you can see the increase in power. THese results are kept on file so next time you come back we can keep a track of your car's performance. 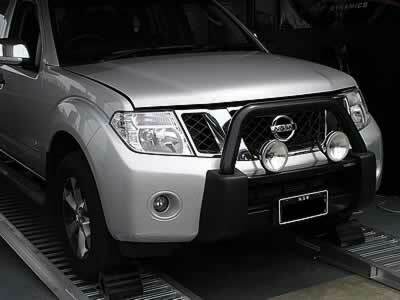 It can also help to diagnose problems that occur under load or when the car is moving. We can also compare to your old dyno graphs to see if your car is losing power. Ever wonder if a performance modification actually gives your car the power it claims? The dyno can help in these and many other areas. It can graph up to 950rwhp. 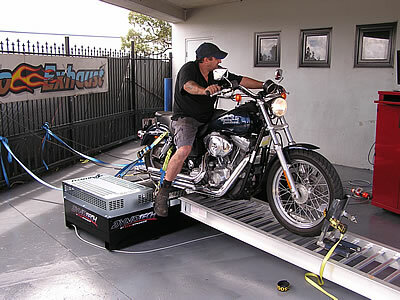 Dyno's can be performed on any day and on fairly short notice. Please ring us for a booking. 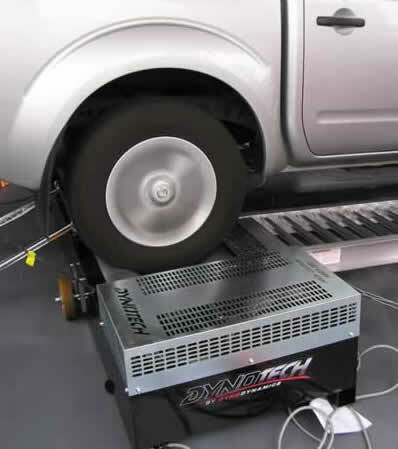 We can dyno all types of cars on our 2WD Dyno Dynamics Chassis Dyno. We are now 'ShootOut' Accredited which means our results can be repeated all over Australia on any other ShootOut accredited Dyno Dynamics Dyno. We upspec’d the dyno to include twin AFR’s so we can check the Air/Fuel Ratio on both banks of your “V” type engine. So, on a V8 if you are having problems, the air fuel ratios could be out on one side and this will help diagnose it. Maybe one bank is running rich and the other bank is running lean, this will show up the problem. Sensing from the tailpipe on a merged system averages the exhaust gas and may show the system is fine, when in fact it could be heading for a meltdown. The dyno also has twin temperature probes, which has other advantages, such as checking the temperature on both sides of an intercooler. Being brand new, all of the sensors are also brand new and it is running the latest, state of the art software. Even photos can be loaded onto the dyno graph.